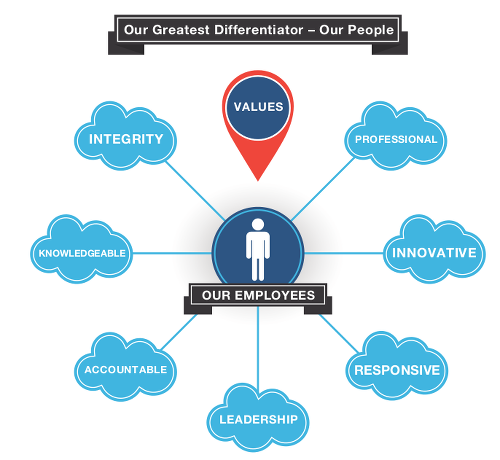 “We look for people who match the company’s values and core competencies. In addition to having a specific skill set, they must have certain personal and professional characteristics including: integrity, pride in their work and the willingness to operate to the very highest standards of quality and excellence,” Spisak said. Leadership qualities are crucial for Spisak. “We’re not just looking for people who can lead others. We need people who are self-managed and can lead themselves. They need to have drive and initiative,” she said. Each new hire also must be a good fit with the current mix of people in the company. “We know that for our company to continue our legacy of providing quality products in our industry we must hire future employees who know what our current employees know — the importance of strategic planning, goal setting and working collaboratively. They have to be able to work with their colleagues but also within teams to service customers and suppliers. Finding qualified job candidates to work with and learn from the company’s long tenured and extremely knowledgeable employees is one of our greatest challenges,” Spisak said. Couple that with each new employee needing to go through a long learning curve about the company’s products and applications, and it lengthens the hiring and training cycle. “We have a series of validated questions that we ask during the interview and the phone screening process. There’s a predictive index that we just started using. We interview to our core competencies and ask questions about values and quality and commitment to excellence,” she said. The candidates’ responses are reviewed and evaluated by a hiring team. “They have to match the technical expertise, but they also have to be a good match for the company. It is hard to find the right talent, as we have a very high standard,” Spisak said. She credits the company’s employees, many who have been with Muncie Power for decades, with raising the bar of what is expected. “We know that in order to continue to be successful, we have to be able to replicate the qualities of our current workforce. That is what we always strive to do,” she said. According to Spisak, the company’s management has been very conscious of its hires and promotions from within as it has grown. “We’ve been very deliberate about working on succession planning and identifying and developing employees we feel could advance. We look at where we may have openings in the future and prepare our talent to be ready when the advancement opportunity is presented. The same attributes that make a person succeed in one area can bring them success in another with the right kind of technical education, professional coaching and training,” she said. Investing in current employees through education, training and development is a major part of the strategic plan. In 2014, the company advanced or promoted about 25 percent of its workforce to positions of greater responsibility and technical expertise. “We offer our employees internal training on leadership, supervision, problem solving and technologies that are new. We also encourage our employees to stay current by attending workshops, professional conferences and trade shows,” Spisak said. Although Muncie Power is known for its quality products, Spisak finds its knowledgeable and talented staff is equally important in the mind of its loyal customers. Sheila Spisak, who has a bachelor's and master's degree from Ball State University, joined the company in 2009. A certified senior professional in human resources, she has worked for several organizations, including Ball Corporation, Ball State University and Xavier University. She and her husband, Rich, have three adult children and four grandchildren. 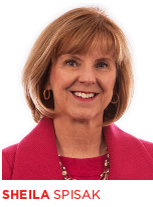 Sheila serves on the board of directors of United Way and two professional human resource groups.